Well 2018 has started well, with a new design published in this month’s Inside Crochet and the new book is progressing well (fingers crossed it stays that way). So, I thought I’d share an old favourite of mine, perfect for cheering up those dull days before spring really does bring sunshine and flowers. 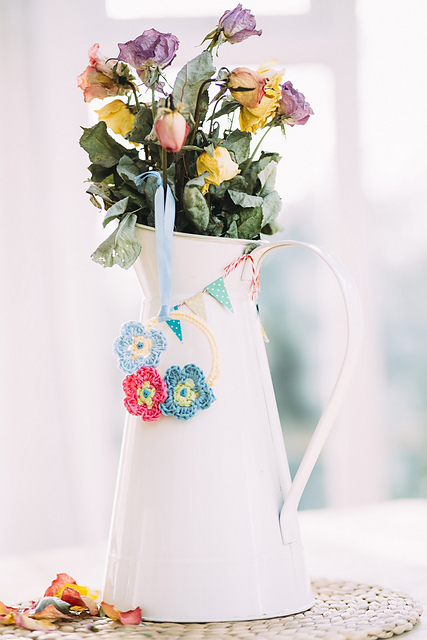 These little garlands are so simple and you can easily personalise them with buttons, ribbons and your favourite crochet flowers. I used children’s bangles brought from an accessory shop on the high street, you can also pick up similar ones online. The pattern first appeared in issue 64 of Inside Crochet, to accompany a feature on planning a crochet celebration. 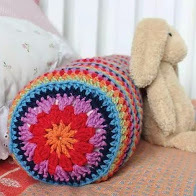 You can use any mercerised cotton, embroidery floss or scraps from your stash for this project. Have fun with this one – I certainly did! 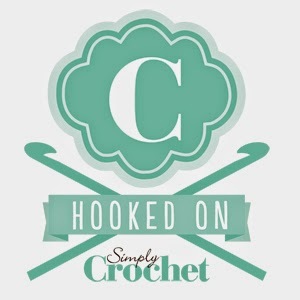 Start with a slip knot on your hook, insert the hook through the centre of the bangle, yoh and pull through the loop, slip first loop over the new loop to secure yarn. (You may need to adjust the number of dc worked to cover your bangle, the exact number of dc is not important). 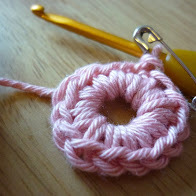 With 3mm hook and dk cotton yarn make 4ch, join with a sl st to make a ring. Rnd 3: 1 sl st, 5tr, 1 sl st in first ch sp [1 sl st, 5tr, 1sl st in next ch sp] 4 times. Fasten off yarn. For each garland make three flowers. Sew a button to the centre of each flower. Sew flowers to wrapped bangle. Use a small piece of ribbon to make a hanging loop.